Builders are having trouble getting outboards for new boats and repowers. John Tomlinson was in a bind. 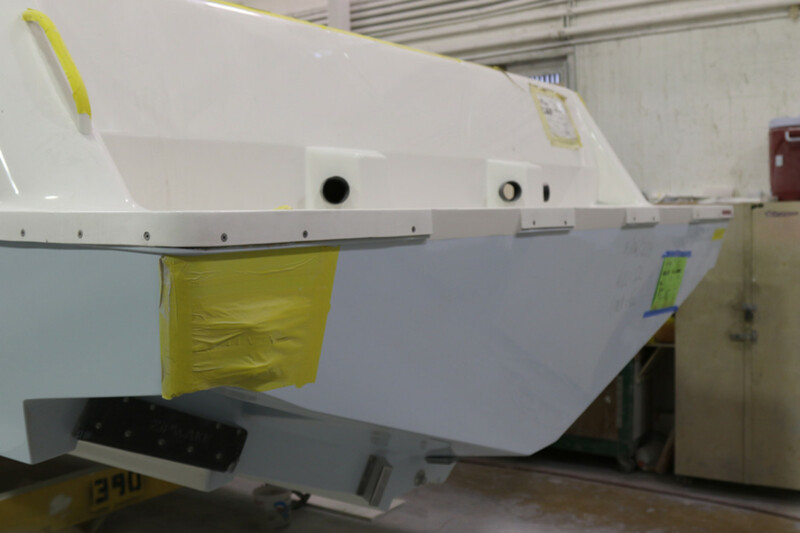 The co-owner of TNT Custom Marine in North Miami had a delivery date of July 4 for a 42-foot Marine Technology center console powered by quad 350-hp Mercury outboards. The $850,000 boat was ready, and the customer was making the payments. As of June, TNT still didn’t have the engines. Tomlinson had been waiting for six months, and every time he called for an update, Mercury had pushed back the delivery date. 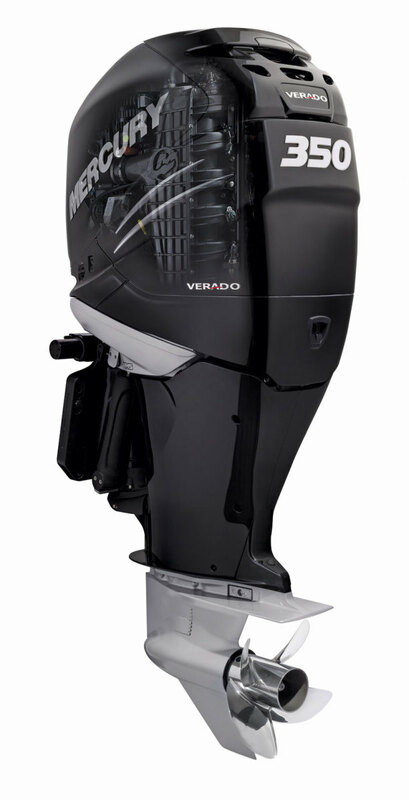 To keep his customer happy, Tomlinson got four Mercury Racing Verado 400R outboards and split the $10,000 upcharge with the buyer to make the Independence Day deadline. Multiple sources say Mercury and Yamaha are having problems meeting demand for outboards above 200 hp. In an email to Trade Only, Mercury Marine president John Pfeifer says, “Demand for the recently launched V-6 and V-8 engines has exceeded our expectations, and the product has been very well accepted in the marketplace.” He added that demand for Mercury’s high-horsepower outboards is up “well into double digits” and that shifts have been added at the Fond du Lac, Wis., plant to reduce lead times. 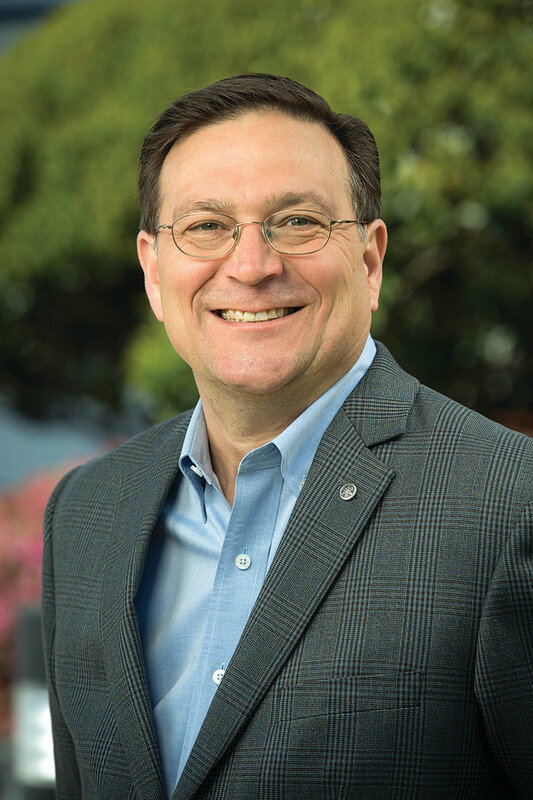 Mark Schwabero, chairman of Brunswick Corp., said in a second-quarter earnings call that Mercury production “will reach full run rates by the middle of the third quarter.” He added later that demand will outpace production into 2019. “We are aggressively working on plans to further increase capacity,” he said. Yellowfin builds 220 boats per year at its headquarters in Sarasota, Fla., installing about 40 to 50 engines per month. In a given month, the company also has that amount of outboards in inventory. “We can’t have boats coming down the line and not have motors,” Nagler says. Nagler TR.TwinDiscHeritageCenter.MV says he sells more 350-hp Mercury Verados than 350-hp Yamahas, but otherwise, he sells an equal split of outboards between the two companies. Yellowfin builds many boats powered with triples and quads, so it’s easy to go through engines quickly. Brunswick expects demand for V-6 and V-8 Mercury engines to outpace production into 2019. Southport already has orders for boats with Yamaha’s 425-hp XTO Offshore engine, which was announced in May. As a result of the shortage of big Yamaha outboards, however, Southport has built boats with engines from other manufacturers, including Suzuki and Evinrude. “It’s forcing builders to look more closely at other motors,” Menezes says. 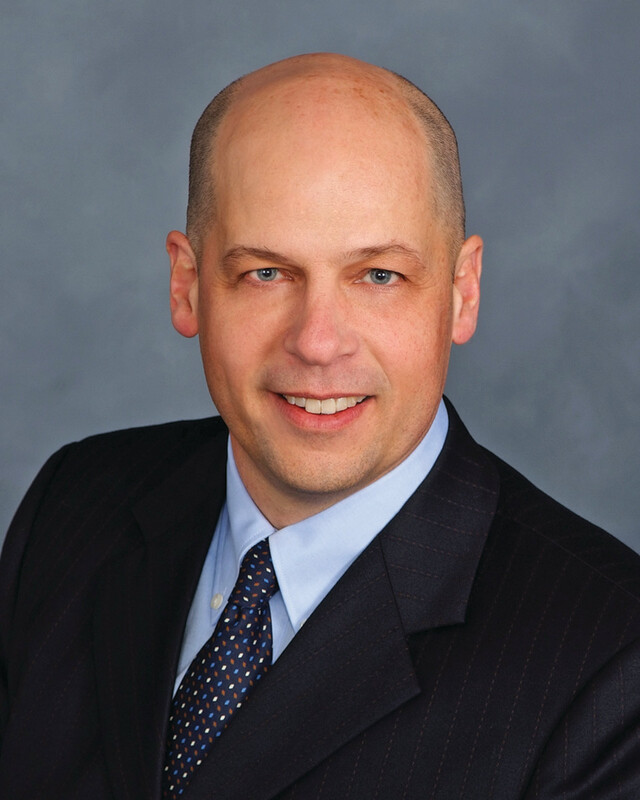 Like TNT, Yamaha dealers also have seen their repower business dwindle in the past 18 months. Steve Arnold, owner of Marina Holdings — which includes Yarmouth Boat Yard and Moose Landing Marina (a Freedom Boat Club franchise), both in Maine — says that between the two marinas, there were eight big repower jobs at the end of 2017. He ordered the engines early in the fall to avoid delays. “I told my guys early on this year, don’t expect any engines for repowers,” he says. Marina Holdings just took on Cutwater Boats and carries Pursuit and Parker, as well as the Godfrey lines of pontoon and deckboats, all powered by Yamahas. “Godfrey is a strong partner with Yamaha, and I know early on, Yamaha went around to boat manufacturers and promised they would have enough engines,” Arnold says. Moose Landing is one of the largest pontoon dealers in Maine, with demand for larger pontoons rising “dramatically” in the past couple of years, Arnold says. That demand for bigger engines has added to the strain on outboard manufacturers. Of course, when two brands struggle, others see opportunity. The introduction of Suzuki’s DF350A was serendipitous. “In all honesty, it’s probably a once-in-a-lifetime opportunity, and we’ve been trying to take advantage of it the best we can,” says Gus Blakely, vice president of sales and division head at Suzuki Marine. Blakely says the company has had double-digit sales gains, with interest from new dealers and boatbuilders in the first half of 2018. Blakely adds that in Florida, Suzuki has a 25 percent market share in some categories. The DF350A, a big engine for big boats, is not the only outboard where Suzuki has seen increased demand. “The other thing that’s really surprising is that we’ve seen no downturn in our 250- and 200-hp business,” Blakely says. Even as Mercury and Yamaha return to normal delivery times, Blakely is confident that Suzuki will retain some of the customers it picked up. Suzuki’s largest repower shop is Outboard Specialties in Pompano Beach, Fla., which sold 642 engines for the 2018 model year. The company stocks 100 to 150 outboards, but because of the increased demand, president Mike Lund says, the summer of 2018 was “tight” at times. “We’re feeling it a lot because Suzuki’s OEM business is exploding,” he says. Yamaha underestimated the growth of the economy, which fueled demand for engines. After introducing updated BF200, BF225 and BF250 engines at the Miami International Boat Show in February, Honda has kept up with demand. Honda has six warehouses throughout the United States, and the company says it can deliver an outboard in three to five days. Evinrude parent company BRP recently created the BRP Marine Group and purchased Alumacraft boats. Tracy Crocker, president of the BRP Marine Group, says the company has had challenging times in the past six months meeting demand for larger outboards. Typically, he says, delivery time ranges from 30 to 90 days. Much like Suzuki, he says, Evinrude has picked up market share, particularly in Canada. As for the manufacturer of the industry’s biggest outboard, Seven Marine, vice president Brian Davis says customers who might have been on the fence about deciding to invest in the engines are now taking a closer look. “Their challenges to meet demand have resulted in a lot of good customer conversations, and in the right applications, they have resulted in sales,” Davis says. Some customers remain willing to wait for their favorite brands. Mark Samples, a U.S. Customs agent in Miami who is restoring a 26-foot Osprey pilothouse boat that he plans to use for diving in the Bahamas, went to TNT to order a pair of Mercury 200-hp V-6 outboards. In June, he was told the engines were out 19 weeks. Since then, he has been told the order has been pushed back until December.